I saw the midwife for a check up this week for the first time since my booking in appointment at 10 weeks. I was really happy that I have now got the same midwife I had when I had Totsy as she is so lovely and I got on really well with her (she is now back in the community after a six month secondment to the hospital ward). Everything was absolutely fine, no problems at all and it was really lovely to hear the baby&apos;s heartbeat. I also got my MATB1 form which made me realise I need to start thinking about when I&apos;m going to start maternity leave! Twinkle has been very active until yesterday when she had a quiet day. I had been really busy and didn&apos;t really notice at first but later in the day suddenly thought &apos;hang on, have I felt her today?&apos; I know how important it is to get checked if there is a change to the pattern of movements, but fortunately just when I started thinking I might have to call the hospital she started moving around and kicking away as normal. Even though I have always been lucky to have straightforward, healthy pregnancies the worry is always there, it feels like such a huge responsibility to keep this baby safe and well until birth and beyond. My hip and back pain has been up and down, mainly pretty good this week but with a couple of bad days. Fortunately after a bit of a frustrating delay my pregnancy pillow arrived today so I am looking forward to trying it out at bedtime. I attempted to test it earlier but Tinker and Totsy wanted to climb all over it (and me!) and were giggling their heads off getting it wrapped around them! Mr T is not especially keen as it is pretty bulky but I&apos;m sure if it stops me moaning about not being able to get comfortable he will eventually love it too. 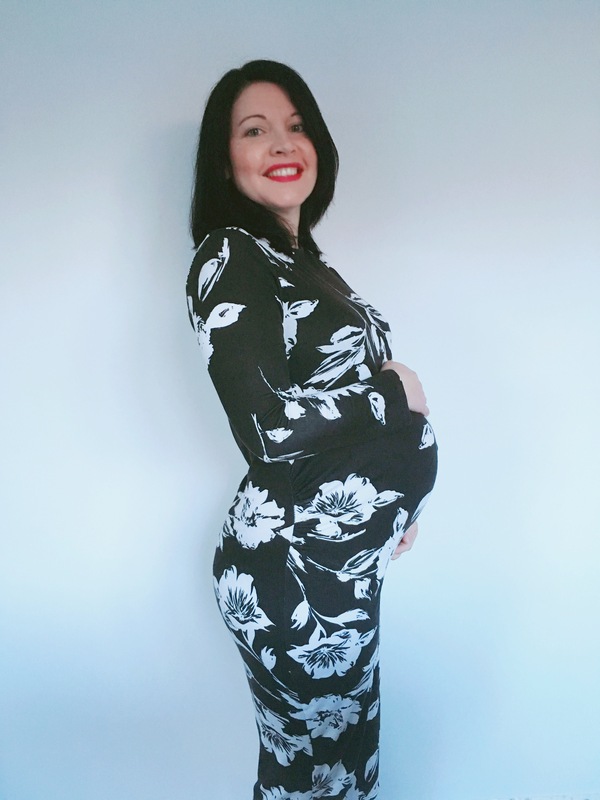 Don&apos;t forget to catch up with last weeks 24 week pregnancy update if you missed it. Tags: 25 weeks pregnant, baby number seven, pregnancy pillow. Bookmark the permalink.